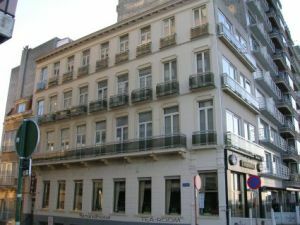 Zeedijk 86, 8370 Blankenberge, Belgium. The Strandhotel is situated on the sea front, near the marina, the market, the casino, the paravang and the Leopold Park in Blankenberge. In our hotel you will find a family minded atmosphere and stylish hotelrooms all equiped with private bath/wc and television. Our hotel has several family rooms ( 2 rooms connected ). In the morning we serve a large breakfast buffet. 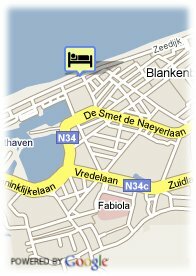 Come and enjoy a relaxing weekend at the seafront of Blankenberge. Internet is available (extra charge).There are internetcomputers available in the lobby (extra charge). Beach, Near trainstation, Park, Centre, Harbour, Near subway / tramstation, Near shopping centre. More than 5 days before arrival : no cancellation costs. Less than 5 day(s) before arrival : 1 night will be charged. Children less than 3 years and more than 2 year(s) old: 5.00 € for each additional bed. Children less than 12 years and more than 3 year(s) old: 15.00 € for each additional bed.